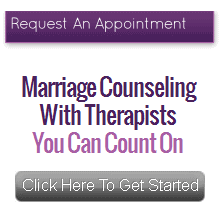 We also have several marriage counselors in nearby Menlo Park and you can see them by clicking here. Barbara Green is a psychotherapist, lecturer and consultant with more than 30 years of clinical experience working with couples and individuals. Clients appreciate her knowledge and expertise as well as her warm and engaging style. She creates a safe and accepting environment in her office that enables people to be less reactive and more thoughtful and creative in addressing their conflicts. To read more about Barbara, click her name above or click here to make an appointment. Lida Sharlin is a licensed Marriage and Family therapist, passionate about working with couples to make their relationship safe, emotionally satisfying and intimate. Couples learn skills enabling them to speak their emotional truths effectively and end repeating negative interaction cycles which leave both partners feeling unheard, alone, hurt, frustrated and angry. To read more about Lida, click her name above or click here to make an appointment.